Trude Dothan (1922 - 2016) was an Austrian-born archaeologist in Israel who focused on the Late Bronze and Iron Ages in the region, in particular in Philistine culture. A professor at Hebrew University of Jerusalem from 1977, she held the Eliezer Sukenik Chair of Archaeology and headed the Berman Center of Biblical Archaeology. In the mid–1940s Trude began her studies at the Hebrew University. After interrupting her studies to serve in the mapping and photography division of the Israel Defense Forces from 1948 to 1950, she received her M.A. degree in 1950. In the course of her studies she participated in digs at Beit Yerah (1945–1946), a Canaanite city of the third century B.C.E. and Tel Qasila (1949–1950). It was at Tel Qasila that for the first time she became acquainted with Philistine culture, which became the topic of her doctoral thesis. 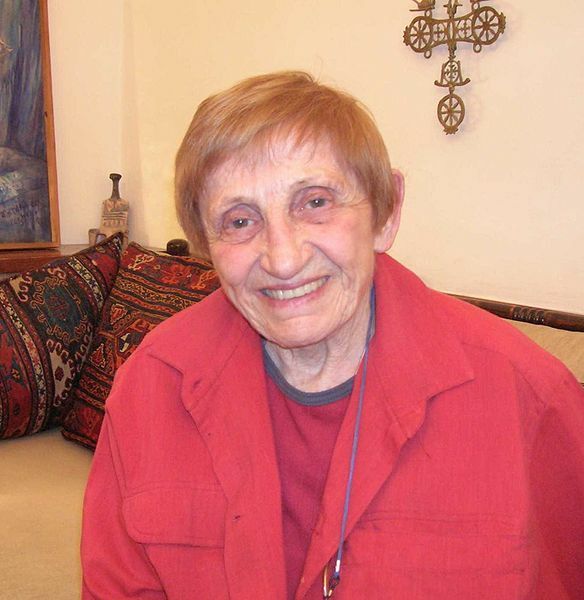 After receiving her Ph.D. degree from the Hebrew University in 1961, she began her teaching career at its Institute of Archaeology, where the topics she taught were Egypt, Cyprus, the countries of the Aegean area and their connection with Eretz Israel. In 1985 she was appointed to the Eliezer Sukenik Chair of Archaeology at the Hebrew University and served for many years as head of the Berman Center of Biblical Archaeology. Dothan was considered to be among the most important archaeologists of Biblical Eretz Israel. Her major research was on the culture of the Philistines and the seagoing nations in the late Bronze Age and the Israelite period. Her book of research is the major source for understanding Philistine material culture. The work she published following the excavations at Tel Miqne-Ekron is her crowning achievement among the research that focuses on the well-developed Philistine culture in Eretz Israel. The most important find at the excavation, which confirmed the existence of the Philistine city of Ekron, was an inscription referring to Achron son of Padi son of Aada son of Yair, ruler of Ekron.